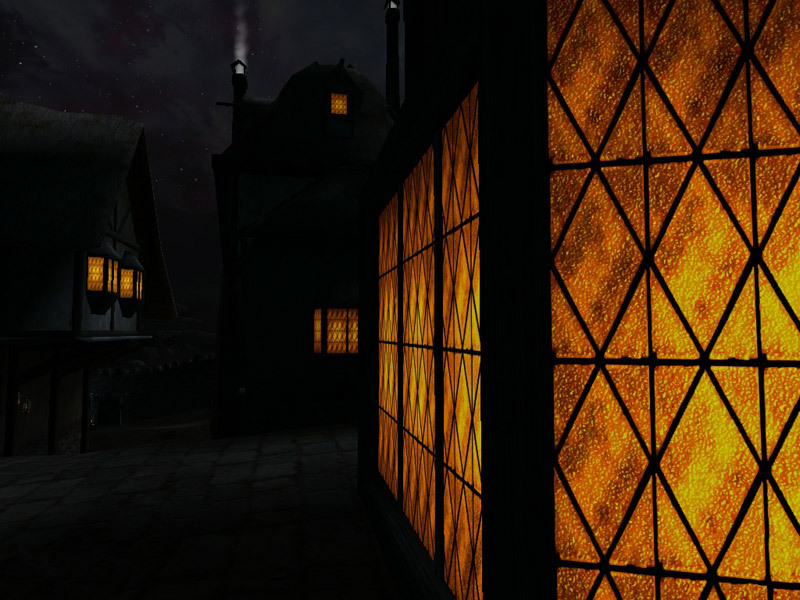 This mods makes windows around Vvardenfell glow during the night, reminding all lonesome night wanderers of the warmth of home. The windows are scripted to switch on lights around dusk, and turn them back off around dawn. They are also animated to simulate candle-light. 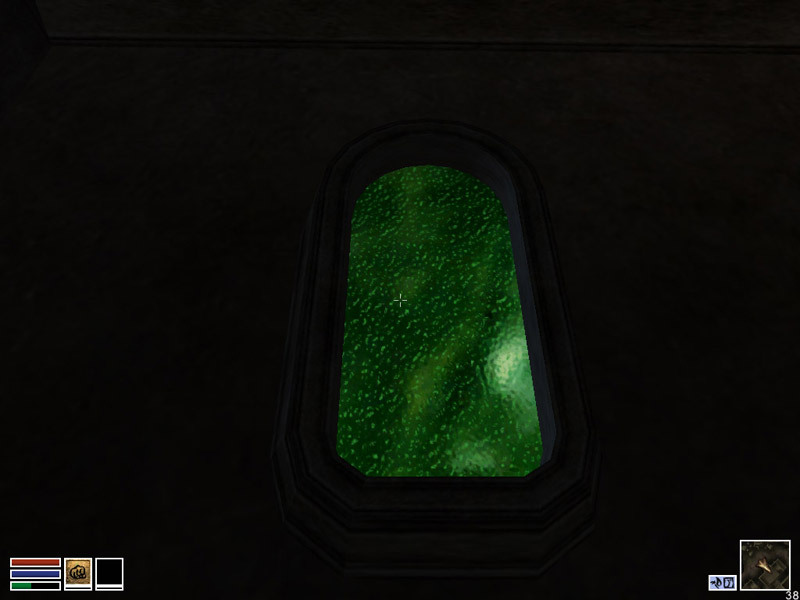 Interior windows will also glow during the day, although not as strongly. The mod does not use real, dynamic lighting, but rather glow-mapped textures, so it has minimal effect on framerate, and is a good choice for weaker machines. 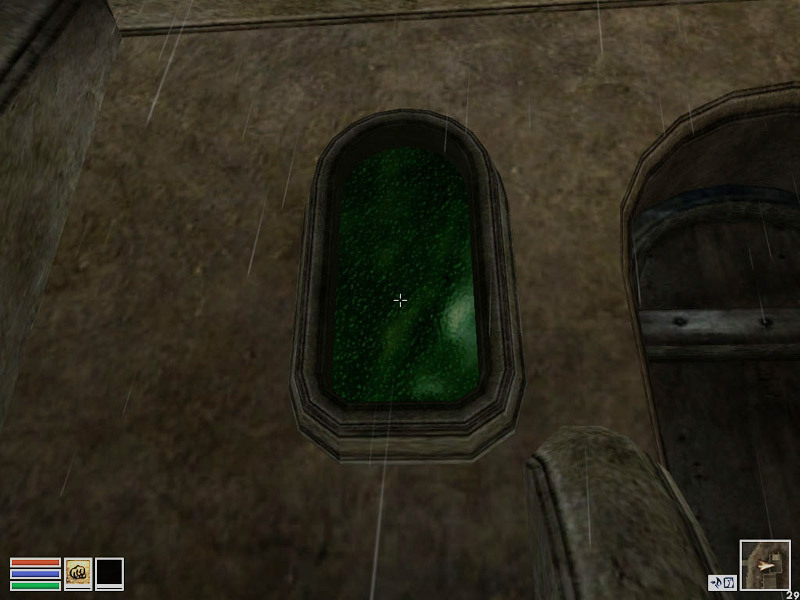 Darker Morrowind - Windows Glow, by Michael 'HelioS' Bennett, is a darker version of this mod's window textures. 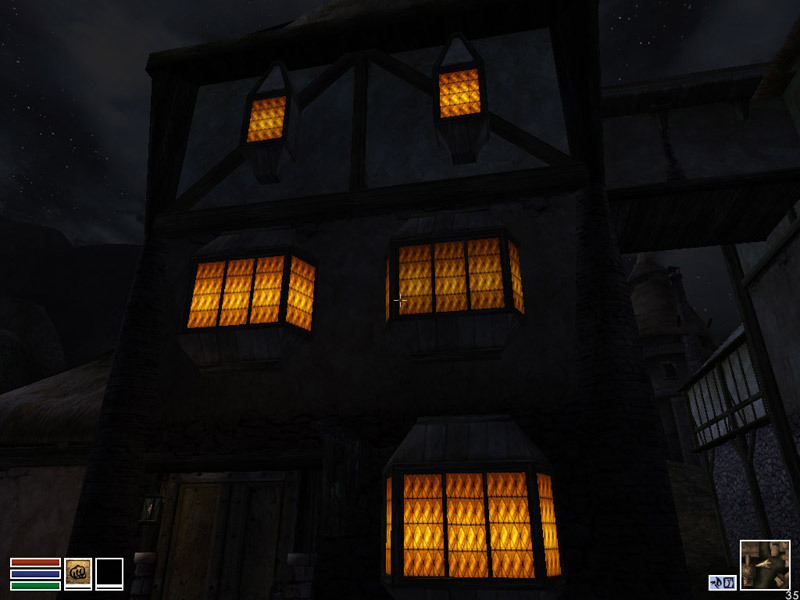 Windows Glow Texture Tweaks, by Lez 'Acrilix' Marwick, is a dimmer version, which better fits the desaturated theme of Morrowind. Windows Glow - Tribunal, by Nikolaj 'Colt17' Gorev, applies a similar effect to Mournhold windows. 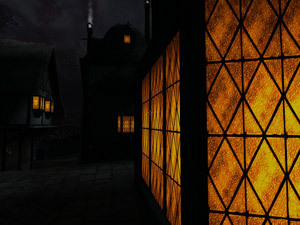 Windows Glow - Bloodmoon, also by Nikolaj 'Colt17' Gorev, applies a similar effect to Solstheim windows. ModMan's Windowlights adds real dynamic lights to all windows, which produces a nicer, softer effect but has substantially higher system requirements. I'm told this mod is actually compatible with Windows Glow. Illuminated Windows is a compilation of window-related mods and lighting tweaks, including ModMan's Windowlights.